Wilderness and Eco enthusiast dream lodge, surrounded by lush forests and trails. 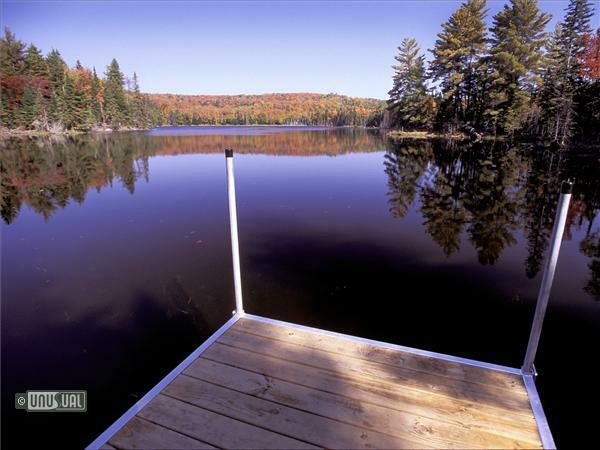 The Algonquin Wilderness Eco-Lodge is a wilderness enthusiasts' dream! Summer or winter, there is always plenty to do and see. 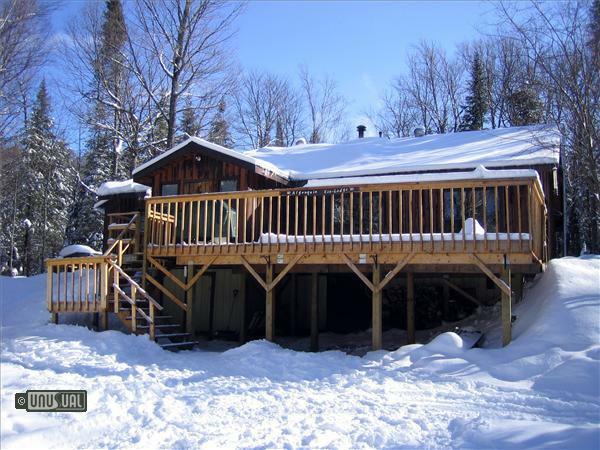 With over 60 km of groomed track set and wilderness trails inside Algonquin Park, the Algonquin Eco-Lodge offers cross country skiing, dog sledding, hiking, canoeing, mountain biking, and hiking. The lodge is so far in the bush that telephone poles and electrical poles don't reach us. Cell phones don't even work. We use alternative energy to heat, light, and cook. And yet, with a combination of alternative energy sources, the Eco-Lodge still provides all the finer comforts, such as indoor plumbing, battery powered hot showers, an outdoor wood-fired year round sauna, and even a hot tub for use in our cold winters! Due to the environmentally friendly nature of the Eco-Lodge we do not have laundry facilities - there are no linens. So you need to provide your own towels and a sleeping bag (winter season only). Yes, there are beds! We are located on a private lake (full of beavers!) on the southern border of Algonquin Park (only 3 hours from Toronto or Ottawa), followed by a 2.5km hike through the forest to get to the building (we bring in tourist's luggage with either a snowmobile or an ATV). We have wolves, bear, moose, deer, and beavers in the immediate vicinity. All of these animals have been seen from our deck at one time or another! The summer offers a variety of activities. Our trail network is ideally suited for hiking, horseback riding, or mountain biking. This is a great area for wildlife and fantastic scenery, including a nearby cascading waterfall. Our lake is full of beavers and canoes can be rented nearby. Also, from our parking lot you can start a 3 day canoe trip along the York River and the Kingscote area of Algonquin Park. Winter is a magical time at the Eco-Lodge. We maintain over 60 km of groomed and wildernesses cross country skiing trails inside Algonquin Park, giving us one of the largest trail systems in Ontario! If you want an amazing wilderness skiing experience (with no crowds!) then come visit us. Per person / night inc. Dinner and Breakfast. Gratuity and tax extra.